Using a variety of techniques, I created 30 different patterned backgrounds. 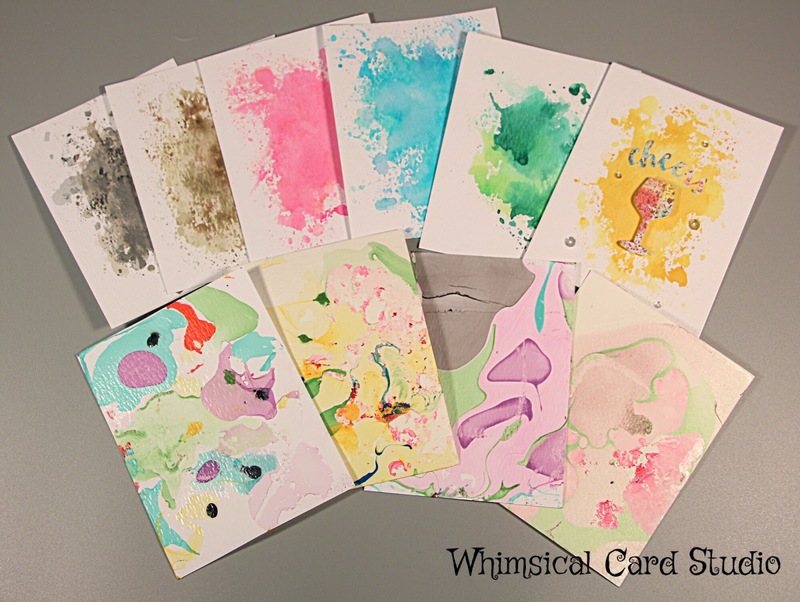 I created a sample card in every category to give you ideas on how these can be used in your card making projects. If you’d like to have your own FREE copy of these exact backgrounds to download, print and use for your personal cards, please subscribe by email to my blog and I’ll send you the link and instructions to get all these image (PDF) files. How to: put plain shaving cream into a container, then mix in 2 to 4 colors into the cream, then push the card into the cream. 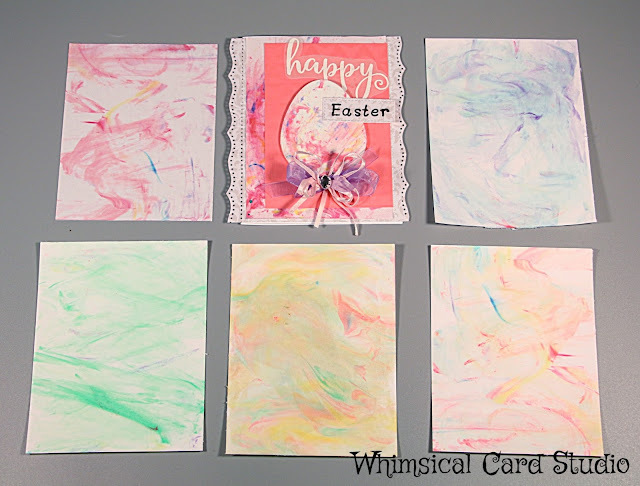 remove card, wipe off the shaving cream and set aside to dry. 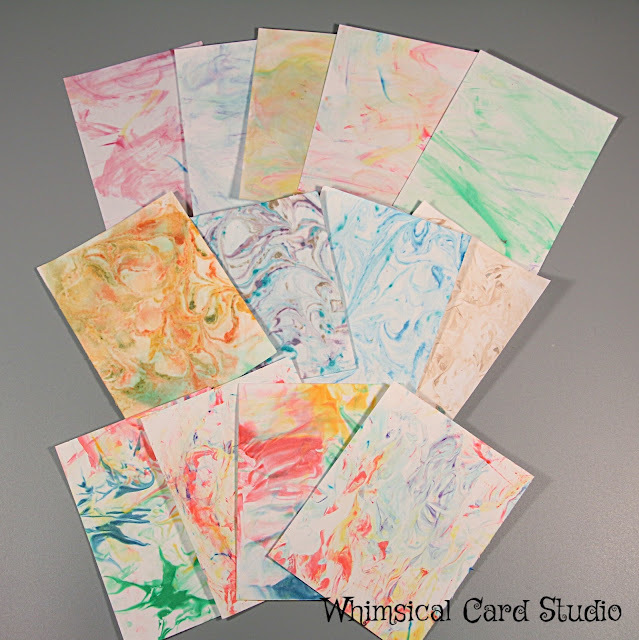 Set# 2 (middle row) – Earthy toned Marbled backgrounds – shaving cream & water marbling method with Ranger alcohol inks. How to: put water into a container, squirt some shaving cream on top of the water and mix it up somewhat. Next place several drops of the color on the mixture, stir up until satisfied with the pattern and push the paper on top and press down to get color on it. Pull paper up, remove excess with paper towel, set aside to dry. The background to the right of the card on the top row had gold spray mist added to it and cut down to a smaller panel size. The next card is from one of the pastel colors. Used the pattern on the egg as well as the layer directly underneath the solid pink layer. 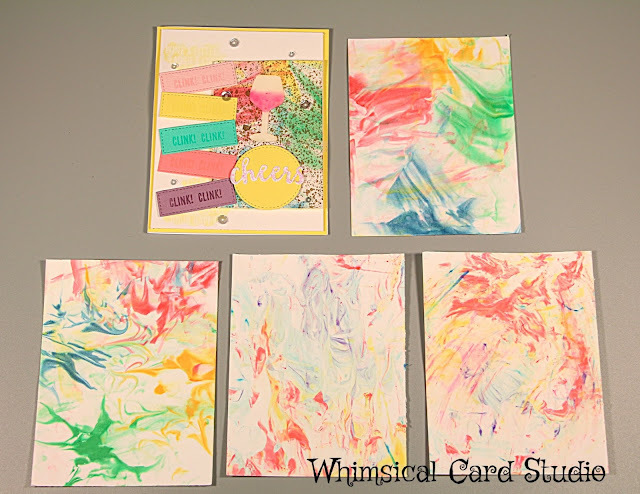 How to: swipe ink onto plastic or acetate piece. Spray with water then press down on top of watercolor paper. Repeat for 1 or 2 more similar colors to get a varied finish. 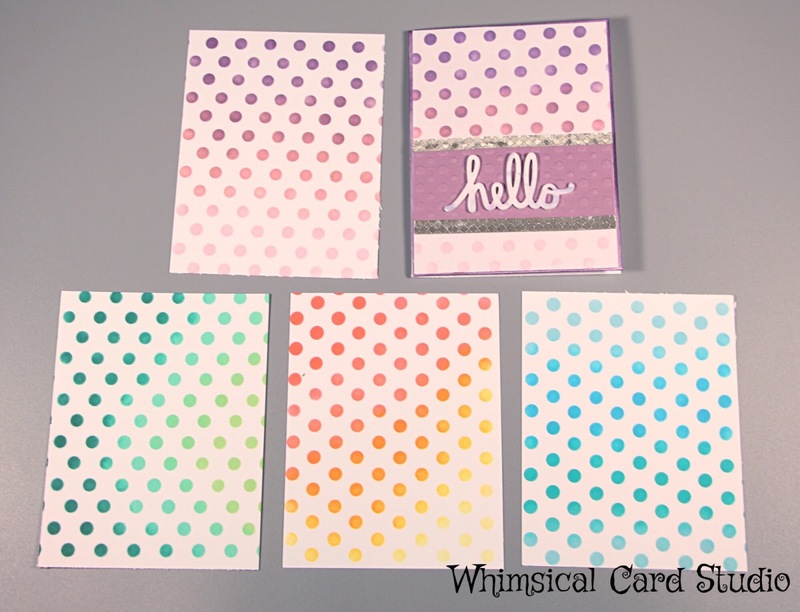 Other examples (below) of cards created from the pattern on the top row above. Below is a fun way to use the nail polish background for an Easter card. 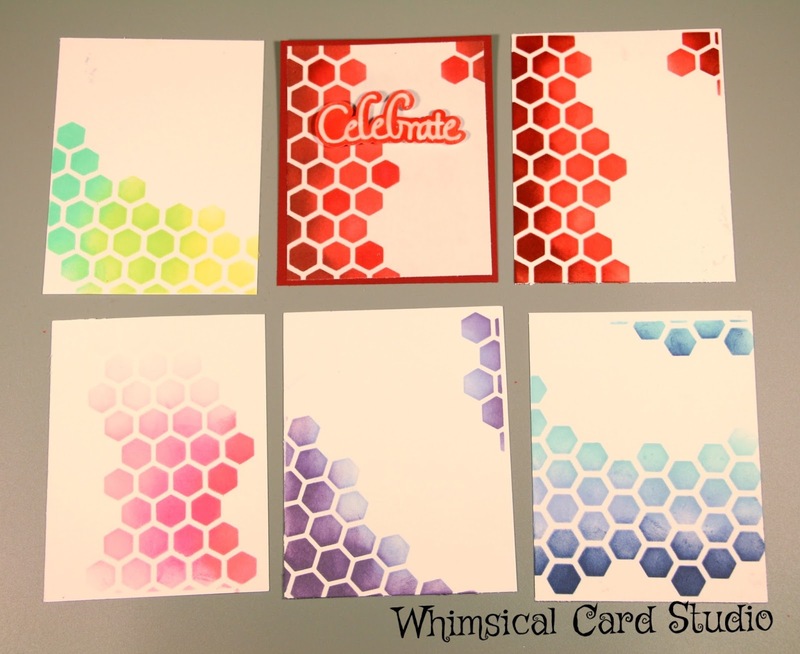 I have another card made with another of these backgrounds, which will be shared on April 10th because it's going to be featured in a Guest Design post! 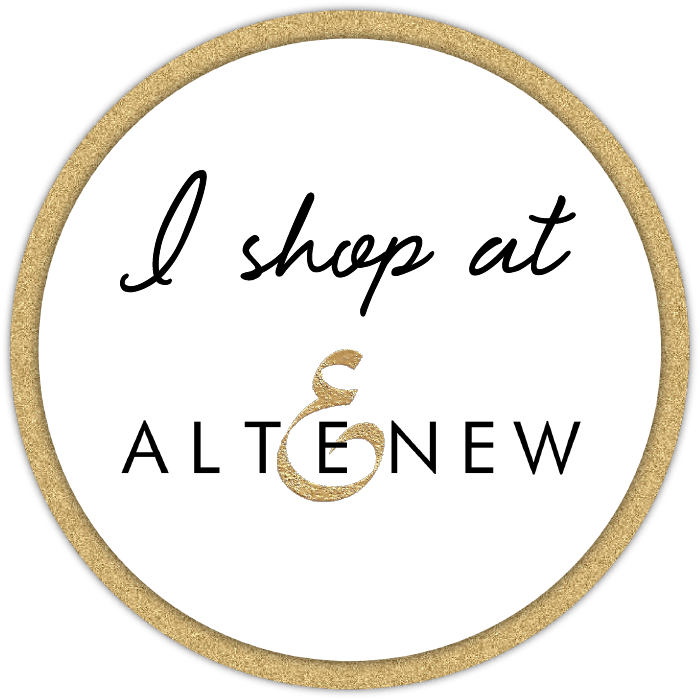 I can't say with who yet, so please make sure to check back on the 10th (going live at 5 AM Mountain time for part of a big birthday celebration for the stamp company). 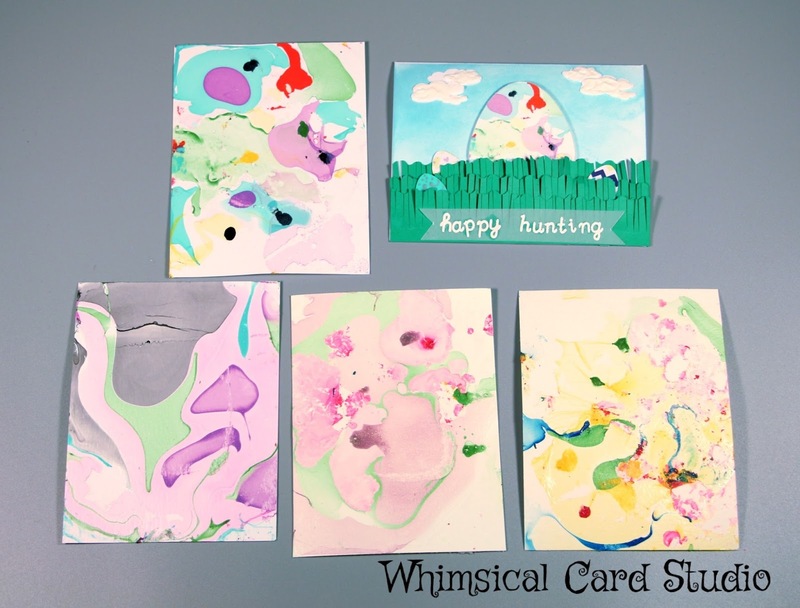 Water marbling with nail polish is the most tricky of all the methods and you will not get the same result even if you use the same colors over and over. The trick is to drop nail polish in several different colors gently on top of the water surface, then either let it spread out naturally or use a pointed tip like a toothpick to gently drag the polish into a pattern. In the examples below, I allowed the nail polish to move around on its own on top of the water before dunking the paper directly down on the surface to pick up the color. 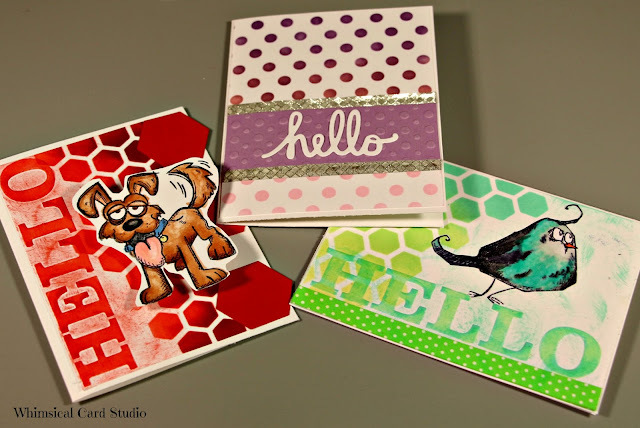 Pictured below are two cards created with the hexagon background (plus one from the polka dots pattern - more color combos shown in the picture following). 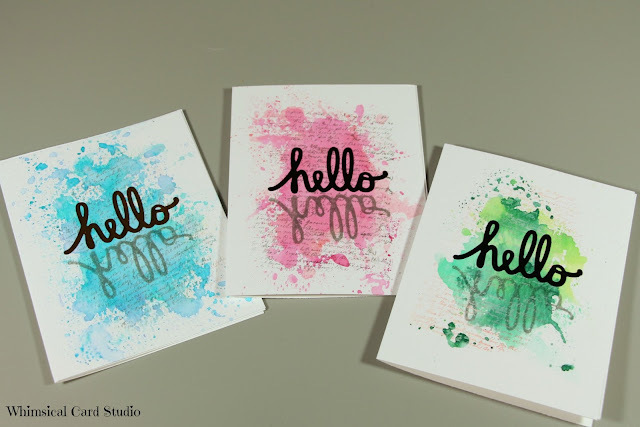 I used an embossing folder for the dog and bird themed card to dry emboss "Hello" then I swiped the ink pad across the letters to color them and coordinate with the card. I hope you enjoyed looking through these background samples and cards created using them. 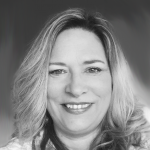 If you would like the file instead of creating your own, subscribe to my blog via email and I will mail you the files. Keep in mind that it might take me up to 24 hours to respond to each request. Celebrating So Suzy Stamps 3rd birthday!